A scholar, educator, and activist, I am president and CEO of MAJAICA, LLC, a professor of applied public health at Emory University's Rollins School of Health, and senior scientist at the Atlanta Regional Health Forum. My works is aimed at advancing the well being of African-American children, families, and communities that is informed by community-based, culturally sensitive research that can be translated into practice and policy. In 2008 over 100 individuals from the public, private, and community sectors convened at the histoirc Ebenezer Baptist Church in Atlanta, Georgia to seek solutions to assure equitable birth outcomes. In metro Atlanta and across the country black babies, as compared to babies from other racial and ethnic groups, are at least twice as likely to die before their first birthday as a result of pre-term delivery and low birth weight. The Save 100 Babies network continues by making the connections between social determinant factors (education, employment, housing, food security, etc) and poor birth outcomes. The primary objective of Save 100 Babies is to develop individual and structural level stress interventions as the bridge between the social determinants of birth outcomes and clinical practices and social policy. Check out "From Evidence to Intervention: The Stress of Gendered Racism"
"Unnatural Causes: Is Inequality Making Us Sick?" The second episode in the series, "When the Bough Breaks" explores the ill-effects of racism on the birth outcomes of African American women who are twice as likely to give birth to premature and low birth weight babies placing those babies at greater risk of death and impairment. While the causes for rising black infant mortality are complex, there is mounting evidence that the stressors of race and gender are significant contributors for black babies being born too soon and too little as the principle explanation for infant death. In this episode, I was interviewed and shown conducting a focus group on my research on the chronic stress of race and gender confronted by African American women. 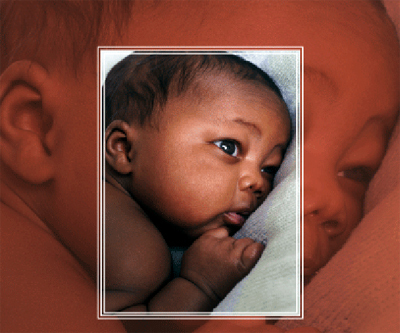 I address the stressors of race and gender confronted by African-American women, and the efforts of members of my research team to document and assess the link between disproportionately high rates of preterm and low--birth weight babies at risk for infant mortality.